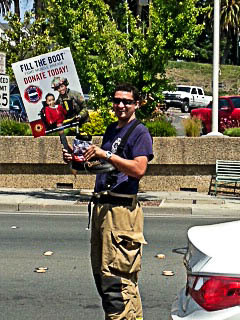 The Petaluma Firefighters Local 1415 are having their annual “Fill The Boot” fundraiser for the Muscular Dystrophy Association (MDA). This is a coordinated fundraiser for MDA across the country, however the funds raised stay in the Petaluma area helping local citizens with disabilities. The Petaluma Firefighters organize the fundraiser but not without the efforts also from Cal-Fire, Rancho Adobe Fire District and San Antonio Fire. 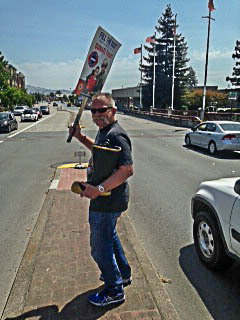 On Friday, May 29th starting at around 8am the participating firefighters will be at intersection of Petaluma Blvd. North and Washington St. They plan to be at the intersection until 3:00PM that day. So if you are driving through town, make it a point to drive your car in that direction and fill a boot for a good cause. While you are there, this is a great opportunity for you to thank these first responders for the service they provide for our city. While we are running out of a house on fire, these firefighters are running in. 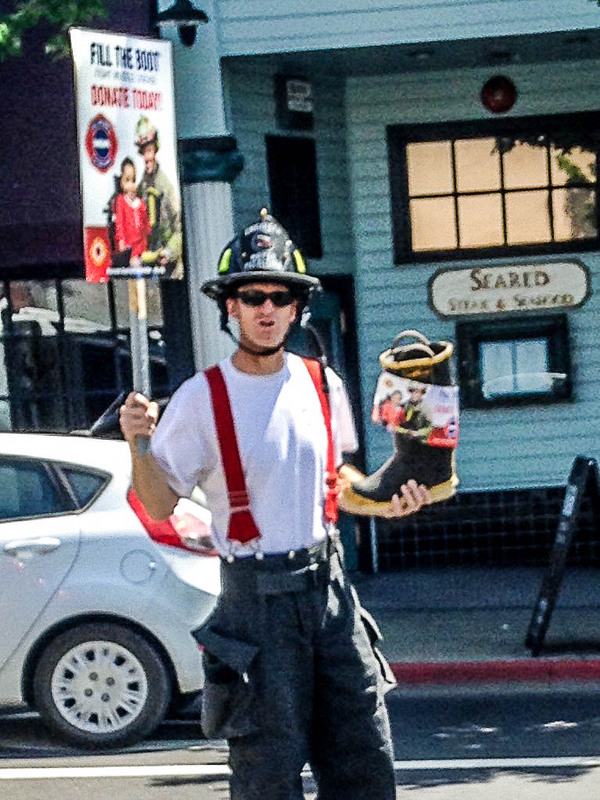 The Petaluma and area firefighters encourage everyone to help ‘fill their boots!’ They also thank you for your support in their efforts to help people in need. Positively Petaluma is donating 30-Day small block ad spaces on our website for any businesses that ‘fill the boot’ with $500 or more. We will also mention your company’s donation on our website with a link to your business website AND in our social media feeds. Your generous donation will be seen by thousands of potential future customers. Simply send us an email to [email protected] and tell us the amount you donated along with your contact information.